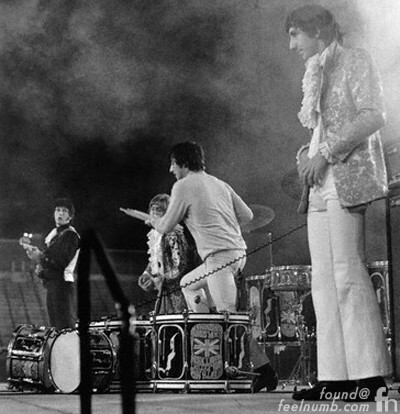 On August 23, 1967, Keith Moon and The Who played a show and planned an after party to celebrate Moon’s 21st Birthday at the Holiday Inn in Flint, Michigan. By the end of the night Moon had blown up a toilet in his room, chipped a tooth running from the Sheriffs and apparently, drove a car into the pool. After the show the party started in a large conference room at the Holiday Inn with about 40 people in attendance. 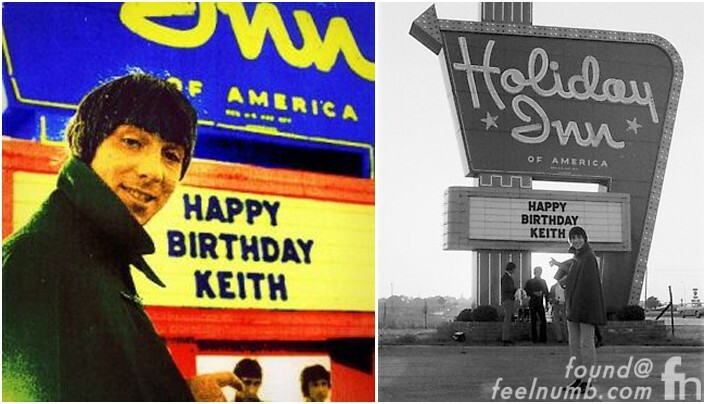 Decca Records and Premier Drums provided an open bar and a huge birthday cake for the festivities. 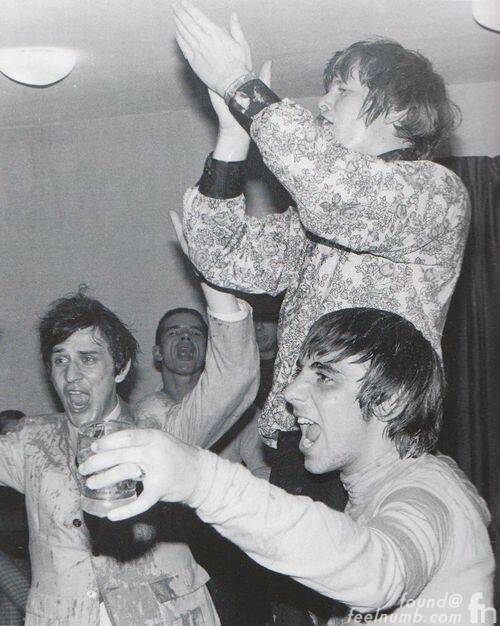 Here’s a photo of Keith at the party that night. 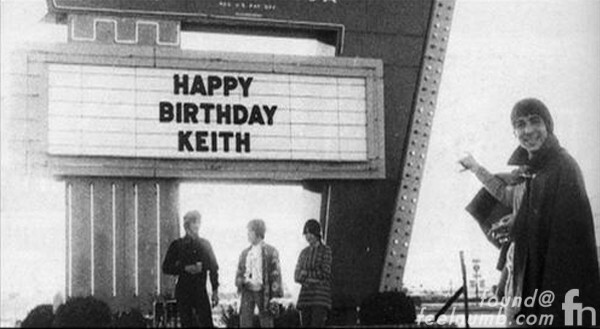 Already drunk, Keith began the night by lighting up a stick of dynamite and blowing up his room toilet. That was followed by fire extinguishers being set off and the large cake being used for a huge food fight. The hotel manager complained about the noise and sheriff deputies were called in to shut the party down. 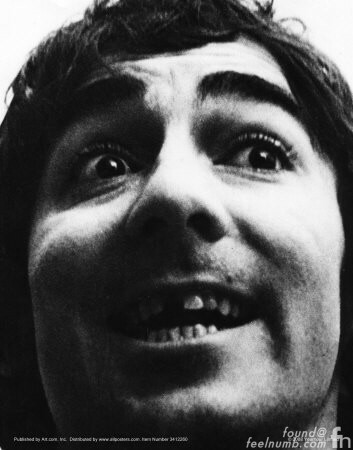 Upon seeing the deputies, Keith (who was naked from the waist down) made a mad dash out of the room but slipped on a piece of cake chipping his front tooth. Here is a photo of the pool that has since been removed. 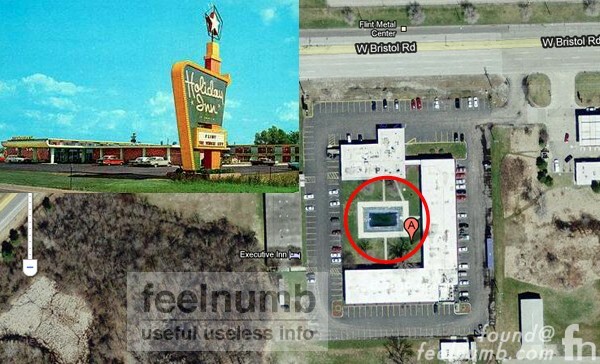 Luckily I took a screen shot of the old hotel and the infamous pool on google maps before it was demolished. Click photo below for the updated google map satellite image. 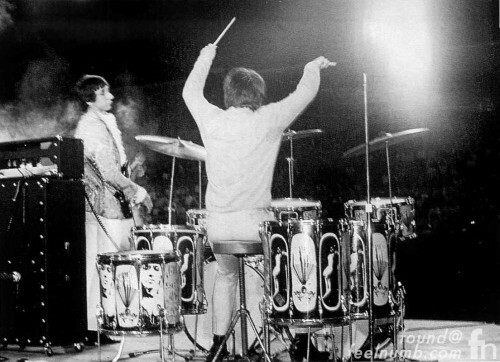 Keith Moon and The Who were subsequently banned from all Holiday Inn’s for life and from Flint Michigan after the incident. It was also rumored that Decca Records had to purchase the ruined car from it’s rightful owner. He didn’t get the nickname “Moon the Loon” for nothing. The Microphones Featured On The Cover Of The Beatles "Let It Be" Album?? ?